All the sheds we make are made to order, using a larch timber framework. We can clad the sheds in two ways, shown in the pictures below. We can give you a quote to include local delivery and the cost of installing the shed if you require. Given the sheds are made to order, we can build non-standard sizes, make the door and window openings bespoke, all to suit your needs. We stock a range of larch and oak sleepers, which can be used for various garden projects. 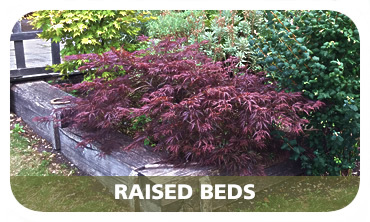 We have some pictures below of some of the ways in which sleepers can be used to create garden edgings and bespoke structures. Please drop us an email or use the form on our Contact us page to let us know your requirements. If you buy firewood, you are very likely to need a log store to keep your wood dry and allow it to season over time. We hand-build our log stores to suit the space you have. As standard, we use our larch timber range to build the structure and the roof. The roof can be felted if required. We offer a local delivery and installation service if required. 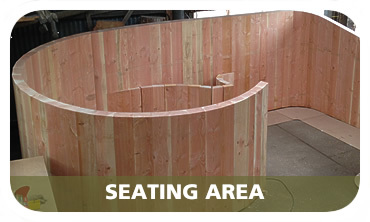 We make all our larch gate products on site, so they can be built to fit a particular sized gap, if required. We also stock a range of gate posts. We can also supply a range of five-bar gate products. Please give us a call to discuss your requirements. 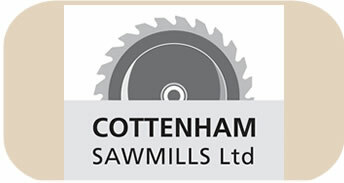 We are able to supply a range of green, air-dried or kiln-dried oak products. We have been commissioned to make a range of products using oak, including tabletops, desk, seating areas, trellis and raised beds.